Depending on the type of snake, snakes eat birds and their eggs, rats, mice, gophers, frogs, chipmunks, lizards, insects and other snakes. 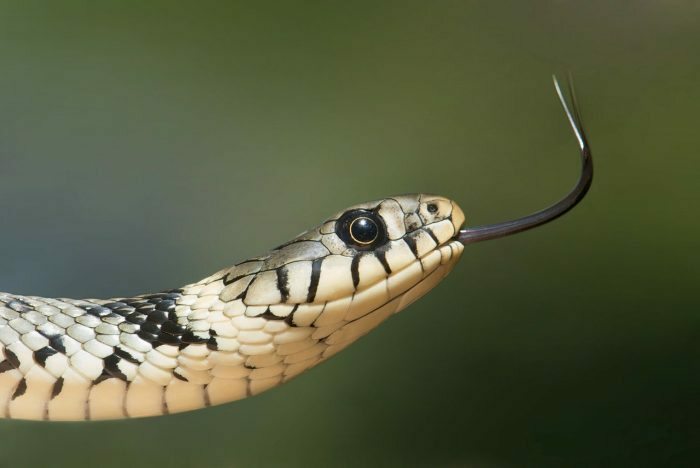 When snakes are young, they mostly eat insects, especially caterpillars. To consume their prey, venomous snakes bite their prey and their fangs inject a poison that starts the digestive process and breaks down the red blood cells in the prey. This process also subdues the prey and makes it easy for the snake to swallow it. The digestion process typically takes about 3 to 5 days, depending on the size of the prey, and larger prey can take weeks to be fully digested.